By now, brave Agents of the Strategic Homeland Division (SHD) have descended on Washington D.C. to liberate it from the forces of evil. 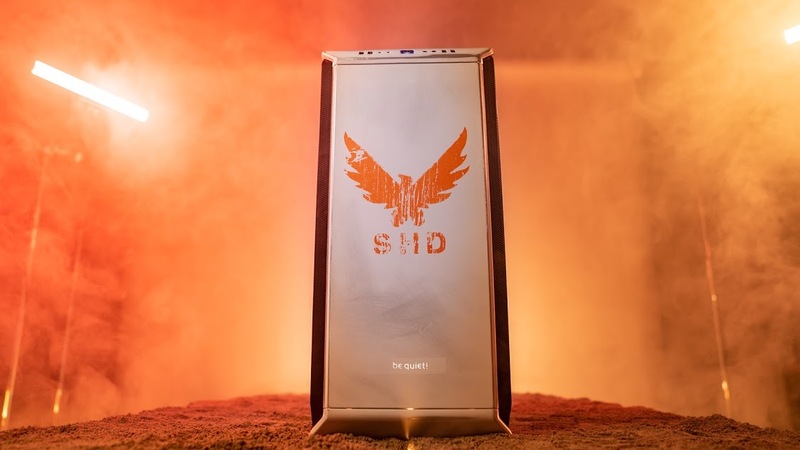 To celebrate the launch of Tom Clancy’s The Division 2 from Ubisoft and Massive Entertainment, we’ve locked, loaded, and built our very own Division 2 gaming PC. This one-of-a-kind gaming rig is based on the be quiet! Dark Base 700 White Edition, over which we’ve applied custom artwork featuring a bold white and orange color scheme. As purveyors of PC parts, we were naturally drawn to the franchise’s Intelligent System Analytic Computer, or ISAC, the AI that aids Agents on their missions. With ISAC as our main source of inspiration, we added plenty of callouts to the SHD. Finally, we distressed and weathered this once pristine chassis to look like it had survived the collapse of society following the outbreak of the Green Poison. While our custom build isn’t nearly as powerful as the real ISAC, its has all the firepower you’d need to enjoy The Division 2. We tested this setup with the game’s built-in benchmark routine, and we’re happy to report that on Ultra settings at 1920×1080, we still had an average FPS of 84. Specs like these are more than enough to carry you to victory on the mean-streets of post-apocalyptic Washington D.C. We’ll see you out there, Agents. Good luck.